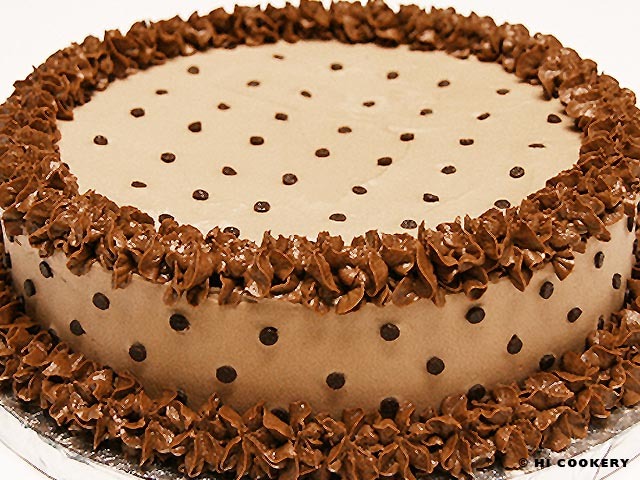 Chocoholics will love this cocoa and cream liqueur cake studded with chocolate chips. Islander experimented with a devil’s food cake mix, substituting parts of the liquid with Crème de Cacao and adding chocolate chips in the batter for a decadent dessert. She also tweaked a whipped cream-based frosting recipe by flavoring it with more liqueur and even some packets of instant cocoa for a complementary icing. Finally, she made a rich chocolate frosting for the decorating details. We celebrate National Chocolate Chip Day with a blog recipe post for a cake made with a chock-full of chocolate chips both inside and out! In a large bowl, combine the cake mix, vanilla pudding mix, water, Crème de Cacao, oil and eggs. Mix until well blended. Fold in the chocolate chips. 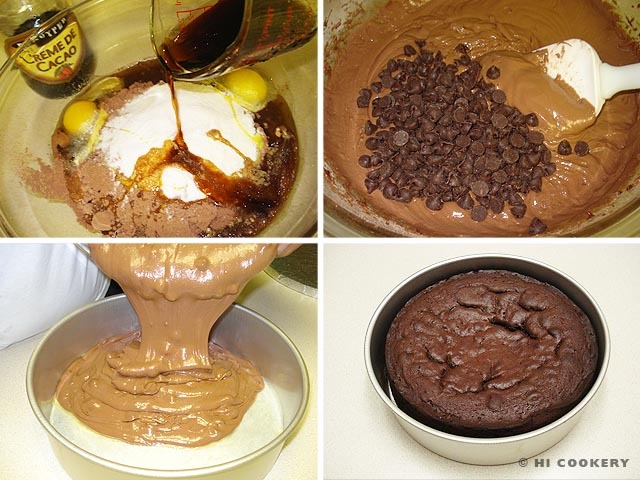 Pour the batter into a greased cake pan. Bake in a preheated oven at 350 degrees F for about 45 minutes, checking periodically and testing for doneness. Remove the cake from the oven and allow to cool completely. Beat the cream until peaks form. Gradually add the cocoa and sugar. Mix in the Crème de Cacao and vanilla until well blended and smooth. Chill to set before frosting the cake. 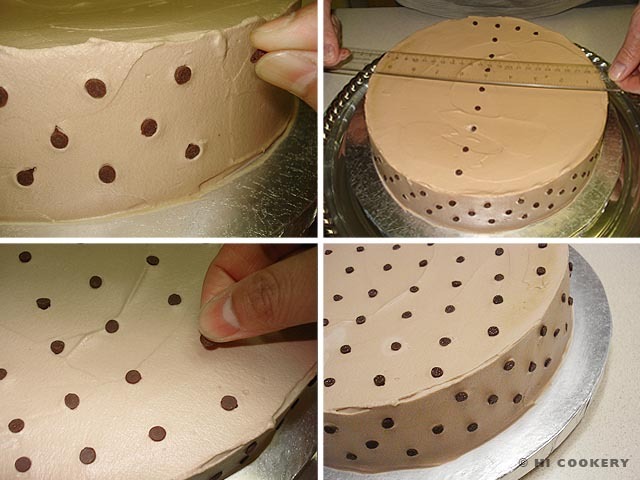 Decorate the sides of the cake with mini chocolate chips in a polka dot pattern, leaving space about an inch apart. 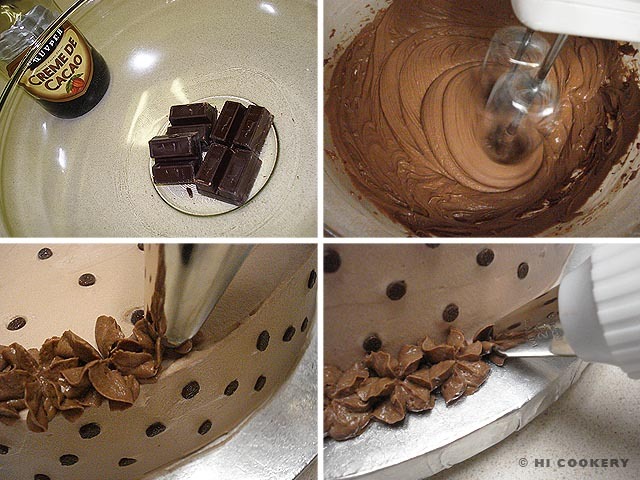 Carefully mark the top of the cake with a toothpick and align the chocolate chips. Refrigerate the cake until ready to pipe in the accent borders. In a large microwaveable bowl, melt the chocolate squares on high for about 1 ½ minutes. Stir until the chocolate chunks are melted and smooth. Cool slightly. Add the cream, butter, vanilla and Crème de Cacao and continue mixing. Gradually add the powdered sugar and beat well with an electric mixer. 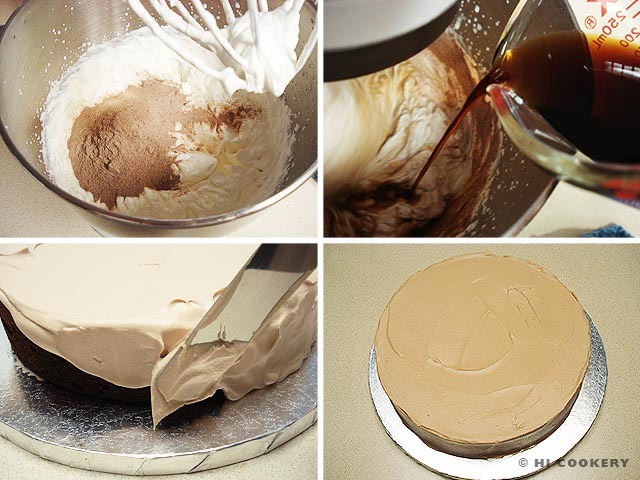 Fill a pastry bag with a decorator tip and pipe in the borders around the top and bottom edges of the cake. Refrigerate to set the frosting. Let the cake come to room temperature for at least 15 minutes before serving. For a stronger Crème de Cacao flavor, randomly poke holes with a fork while the cake is still warm and drizzle about two tablespoons of liqueur over it. Cool completely to allow the flavors to seep inside. For a torte, slice the cooled cake into layers and triple the recipe for the Crème de Cacao icing. For the double-ruffled borders, tip 2D (large, drop flower tip) was used in a “squeeze-lift” motion around the edges of the cake.